Here at Southall School we realise how important it is to praise positive behaviour and personal achievements. Our rewards system encourages pupils to work hard, stay focused and try their hardest. 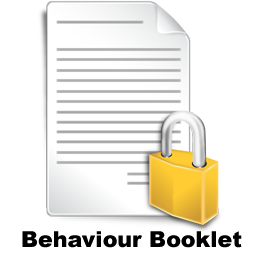 Every lesson we track positive behaviour on our school pod system. Pupils are awarded points each lesson and these are added to their ongoing points total. Each pupil will be able to see their individual points score. Each week the pupil with the highest score in the form is awarded a special certificate in the key stage assembly. The pupils also work towards positive behaviour awards – our bronze, silver, gold and platinum merits which are awarded at our awards evening celebration at the end of the year. Each half term the highest scoring pupil in each key stage is also presented with a special gift certificate. The tutor group with the highest points total is also awarded a weekly certificate in the weekly assembly. We have found that focusing on positive behaviour really encourages student to make the right choices. Pupil take pride in the points they are achieved and strive to win points every lesson. The Wellbeing team are a group of non-class based staff specifically detailed to support the learning and behaviour of whole school population. These staff work alongside teachers and class-based teaching assistants in the classroom, work alongside duty teams during break times, work with SLT on positive intervention outcomes and support positive behaviour throughout the school. For further information, please contact Pam Adcock, (Wellbeing Team Manager).